What's the asylum policy of the Netherlands? 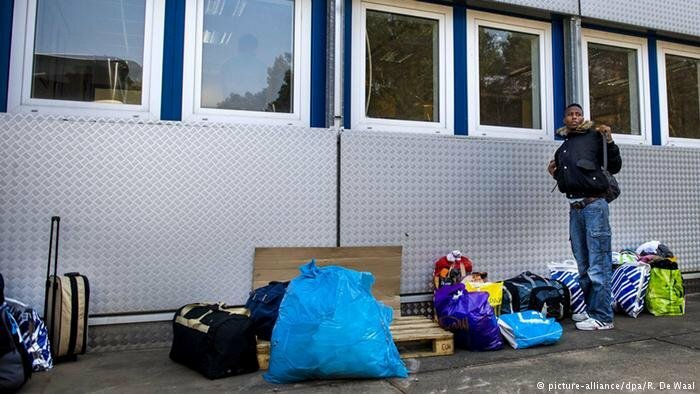 Although much has been said about Germany's asylum policy after it took in over one million refugees since 2015, the Netherlands asylum policies have made fewer headlines. How is the Netherlands handling the crisis and what do the asylum procedures there look like? According to the Netherlands Immigration Office, the Netherlands had a total 18,171 first-time asylum applications in 2016. In 2015, the country had a total of 43,093 first time applications. The highest number of applications in both years came from Syria, which totaled 2,158 applications in 2016 and 18,677 in 2015. Other countries following behind include Afghanistan and Iraq. In 2016, the Netherlands rejected 28.2 percent of asylum seekers, meaning the rest would receive some type of protection, whether it be refugee status, subsidiary protection or humanitarian protection. Refugee status is based off the 1951 convention, where asylum is granted to those at risk of being persecuted in their home country due to ethnicity, religion, nationality or political beliefs. If they do not qualify for refugee status, they may be given subsidiary protection. Subsidiary protection is often given to those who may be subject to torture or the death penalty in their home country. It's also often granted to those who are from what the Dutch government deems to be "safe countries of origin," such as Albania or Bosnia. Those granted subsidiary protection may go to the regional court (Rechtbank) and appeal the decision. For migrants looking to apply for the asylum in the Netherlands, they have to register at the Immigration and Naturalisation (IND) Service in Ter Apel, a town in the Northeastern part of the country. Afterwards they will be transferred to reception center which will process their asylum applications. The asylum procedure does not begin until six days after they have reached the country. These six days give the migrants a chance to rest. Once they have been transferred to an reception center, they will have an interview with the IND, where they will explain their reasons for seeking asylum. The IND will then assess their application by seeing how credible the asylum seeker's claims were during the interview and what type of security situation is in their home country. Some asylum seekers may arrive by plane, if so, they will be denied admission to the Netherlands and will have to stay at the application center in Amsterdam Schiphol airport. They will be referred the Royal Netherlands Marechausee. If an asylum seeker is rejected, then they are in the Netherlands illegally. A return decision may be granted where the individual will likely be given four weeks to leave the Netherlands. The authority responsible for returning failed asylum seekers is called the DT&V or "Dienst Terugkeer and Vertrek." If the asylum seekers are cooperative, they may give the asylum seeker more time to return. They will most likely be forced to leave on a charter flight back to their home country.